Ultraman Season 2 seems inevitable with the way the first season ended with Episode 13. Ultra “brothers” Shinjiro Hayata, Dan Moroboshi, and Seiji Hokuto are now fighting together after defeating Ace Killer, but Bemular’s end game has yet to be fully revealed, nevermind the plans of the Star Cluster Council and Agent Adad. But will Netflix renew the Ultraman 2019 anime for a second season? So far, exclusive anime series blessed with being featured as Netflix Originals seem to have a solid history of being renewed. Even the Kakegurui anime, which flopped in Blu-Ray/DVD sales in Japan managed to receive a Season 2. Netflix would be wise to not let go to waste the talent that animation studios Production I.G. and Sola Digital Arts pulled together for the new Ultraman anime. Director Kenji Kamiyama is known for directing Ghost in the Shell: Stand Alone Complex, Eden of the East, and other popular anime. 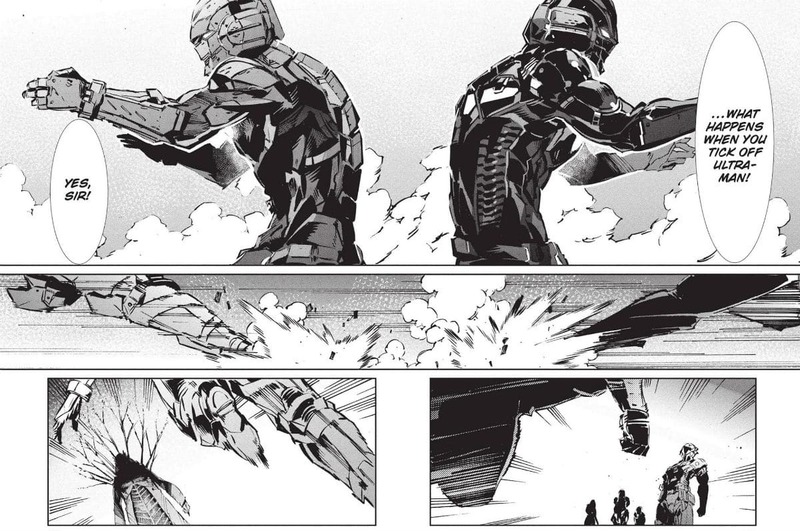 Second director Shinji Aramaki has directed Appleseed and Blade Runner but he’s also known for his mechanical designs in a variety of anime including Batman Ninja and Halo Legends. Creating a story for Ultraman Season 2 is also not a problem at all. 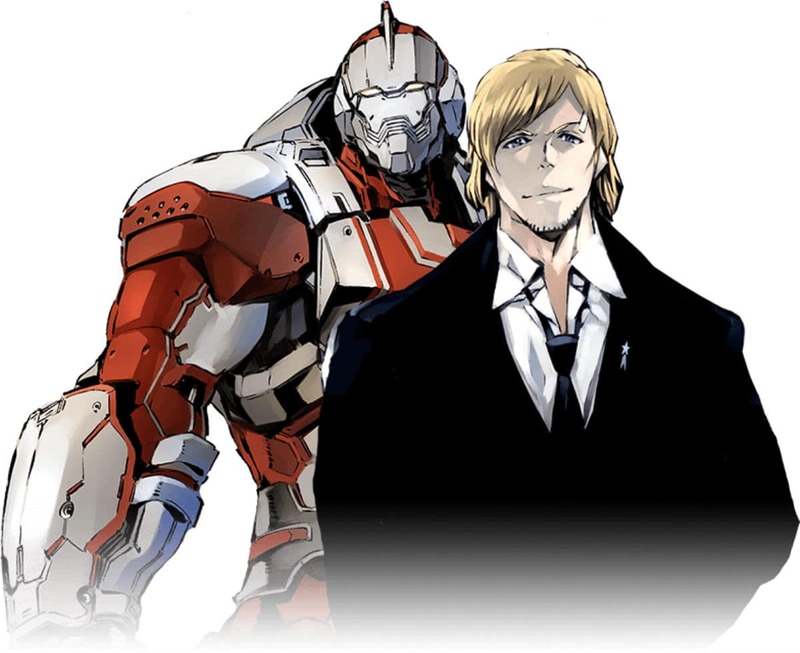 The story for the 2019 Ultraman anime was based on the 2011 Ultraman manga series by writer Eiichi Shimizu and illustrator Tomohiro Shimoguchi. That team is known for the mecha manga Linebarrels of Iron, which also received a good anime adaptation. This article provides everything that is known about Ultraman Season 2 and all related news. As such, this article will be updated over time with news, rumors, and analysis. Meanwhile, let’s delve down into what is known for certain. 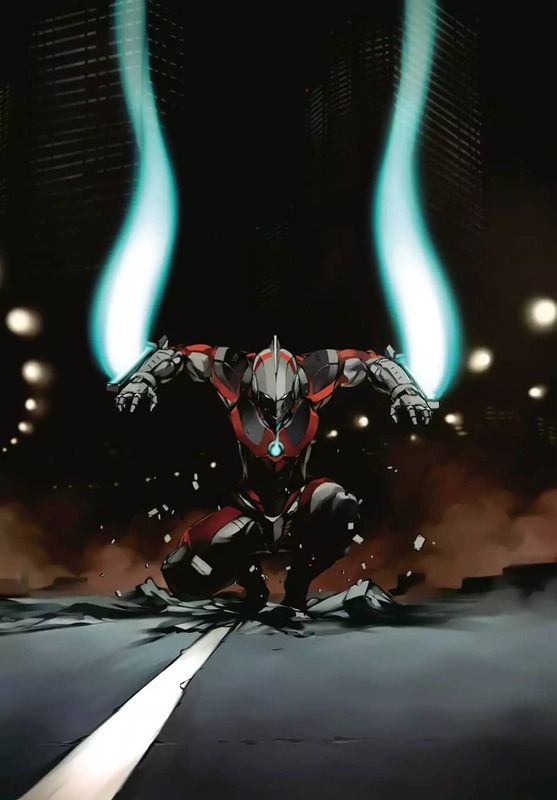 Starting serialization in 2011, the Ultraman manga offers a new a take on the classic tokusatsu story that started with the 1966 Ultraman series. New chapters for Ultraman manga release in Shogakukan’s Monthly Hero magazine. The story is still ongoing and the manga’s ending is nowhere in sight. Unfortunately, Shimoguchi has been suffering from health problems in recent years, which caused Ultraman Volume 13 to be delayed to March 5, 2019. The monthly manga also went on hiatus earlier in 2019. The release date for Volume 14 has not yet been announced. 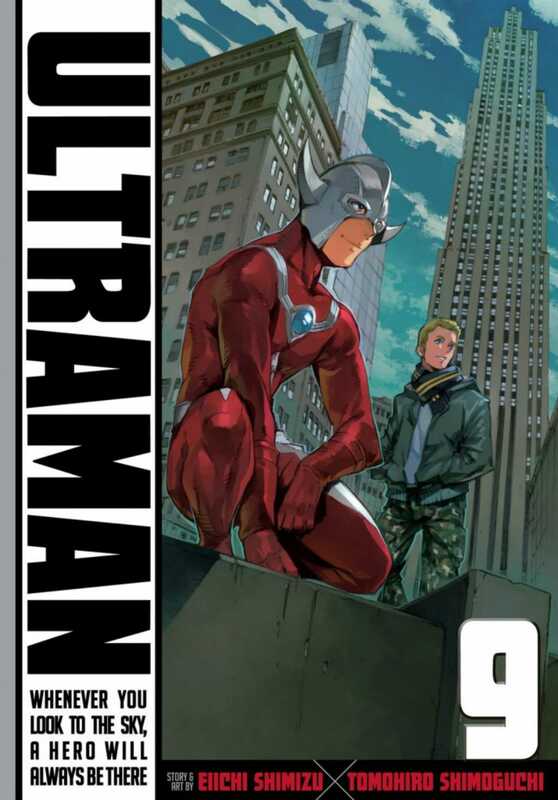 The official English translation of the Ultraman manga is being released in North America by VIZ Media. Thankfully, the English version began releasing in 2015 so it’s already up to Volume 11 as of January 2019. 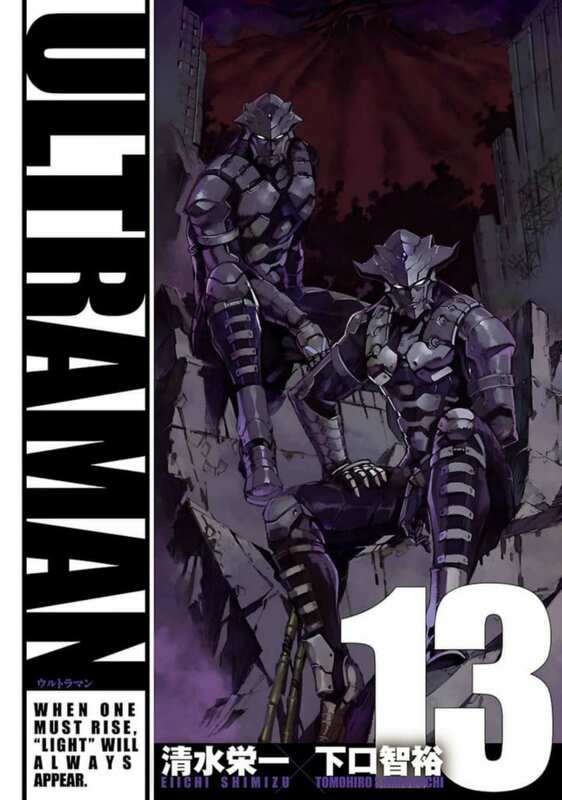 Volume 12 is scheduled to release on June 18, 2019, but the English Ultraman Volume 13 has yet to be announced. There are fan-made scanlation projects that offer an unofficial English translation. However, most of these projects were voluntarily taken down several years ago due to copyright concerns. In a 2015 interview, Shimoguchi explained some of the reasoning behind the changes. Some fans of the tokusatsu genre have complained that the Ultraman manga removed the gigantic characters only to replace them with designs more akin to typical American superheroes wearing powered suits. For these fans, it’s as if the new Ultraman story is a tokusatsu for people who don’t like tokusatsu. But this major design decision can’t be pinned on Shimizu or Shimoguchi. 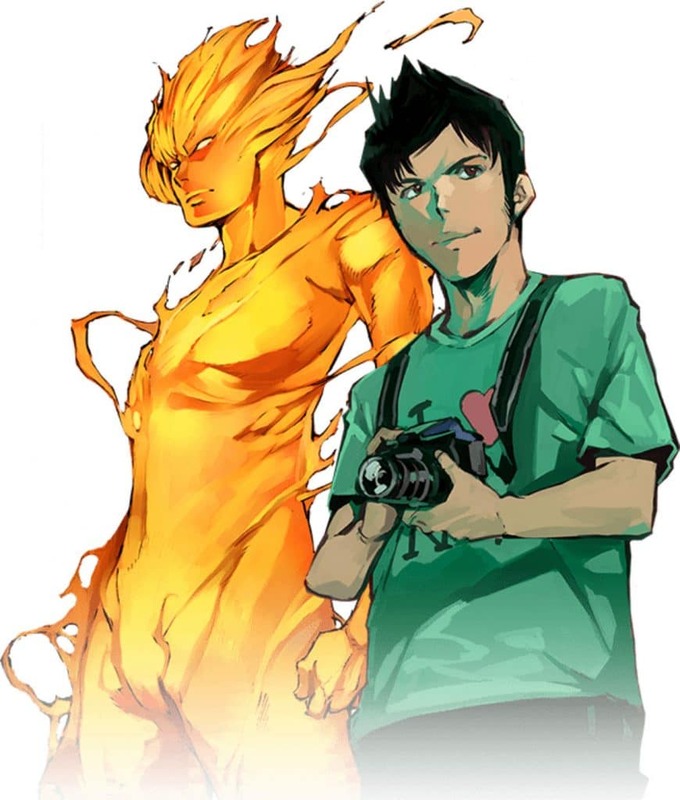 It turns out that the publisher pitched the basic concept to the manga creators and they initially turned the project down since they “could not visualize in [their] minds how [they] would put Ultraman onto paper.” But they changed their minds when the publisher explained their fuller vision for the concept. “While we were in the middle of all this debate about how we would do it, and would we even want to do it, we received a directive from the publisher that they wanted a sort of life-sized [as opposed to giant], suit-wearing, battling-alien-creatures type of thing and not a transformation,” Shimizu explained. Besides beating up giant monsters, the original Ultra Series was also known for bringing in a new Ultraman every season. While the manga’s story erased that continuity from the timeline, the always-angry Dan Moroboshi is based on the 1967 Ultra Seven (hence why his suit is version 7). The young Seiji Hokuto came from a man-woman team in the 1972 Ultraman Ace where the team combined to form one Ultraman. Similarly, the human information broker Jack was purposefully designed to resemble Hideki Go from the 1971 Return of Ultraman who played Ultraman Jack. Fans of the Ultra Series might notice that in Chapter 17, the manga goes out of its way to highlight how Jack wears a bracelet on his left wrist that resembles the Ultra Bracelet worn by Ultraman Jack. Like many adaptations of manga series, the Netflix Ultraman anime does make changes although the overall story is about the same. The biggest failure was how the anime depicted Shinjiro struggling with the reality of needing to kill the murderous aliens. The manga’s story was far more nuanced and Shinjiro’s struggle over killing fed into his other fears. His doubts were not just about killing. Shinjiro feared having power itself, especially the power to take lives. Shinjiro is just a kid who was abruptly thrust into growing up rapidly and he’s terrified at the thought of never being able to go back to being normal again. Other story tweaks changed character behavior and motivations in minor ways although the primary purpose remains. For example, at the beginning, Shinjiro’s father Shin originally displayed his inhuman strength on purpose whereas in anime he smashed something in frustration. Near the ending, Edo shed literal tears when Shinjiro overcame his suit’s limiter with sheer willpower and truly took on the mantle of Ultraman. The manipulation by the Science Patrol leadership and the alien Edo was also way more blatant in the manga. It’s literally stated that Edo is “manipulating [Shinjiro] into doing the right thing” and Edo is shown making use of other humans for his own goals. Moroboshi also hated the idea of making Shinjiro understand the importance of his role in the Science Patrol by tricking the boy. The confrontation with the Star Cluster Council’s undercover agent Adad during Rena’s concert also had a slightly different tone. Adad never threatened the audience with floating mines (even as a fakeout), plus his longer monologue fully explained his actions in more detail. The manga chapters following the concert scene also described the history series of murders in a way that better explained the motivations of aliens, contract killers, and the three teenage human fans while also neatly tying into Shinjiro’s inner conflict over killing aliens. It was also easier to feel sympathetic toward the alien stalker fan since his backstory was detailed. During the middle of the Seiji Hokuto story arc, Moroboshi flat-out tells Shinjiro that he’s actually an alien. This admission shocks Shinjiro but it turns out everyone else already knew and it didn’t matter to them. On the positive side, the anime added extra scenes with personal interaction between Shinjiro and pop star Rena before she suddenly decided to show up at the Giant of Light museum. Rena’s extra backstory involving the death of her mother and thus her reason for being upset with Ultraman during the concert added extra depth to the character beyond just being a potential future diva girlfriend. More importantly, the anime heightened the action by adding the scene where the concert ceiling is destroyed and Shinjiro must choose between saving the audience or saving Rena. This extra tension greatly increased the impact of the concert episode while acting as a substitute for the reason why Rena was interested in meeting Ultraman in person. One huge plot change occurred when Shinjiro was with Rena and needed to rescue the men falling from a building maintenance lift. The anime specifically highlighted how Shinjiro forgot his phone when going to call Ultraman, which led to her realizing he was Ultraman. Shinjiro never forgot his phone in the manga, although manga Rena does have her suspicions. Knowing that Shinjiro is Ultraman would change their entire relationship. As such, Ultraman Season 2 seems unlikely to follow the Rena story elements too closely unless the next season simply retcons that episode and pretends she never found out. On top of the changes to character development, there were even some visual changes. The first big departure is a design change to the villain Bemular. 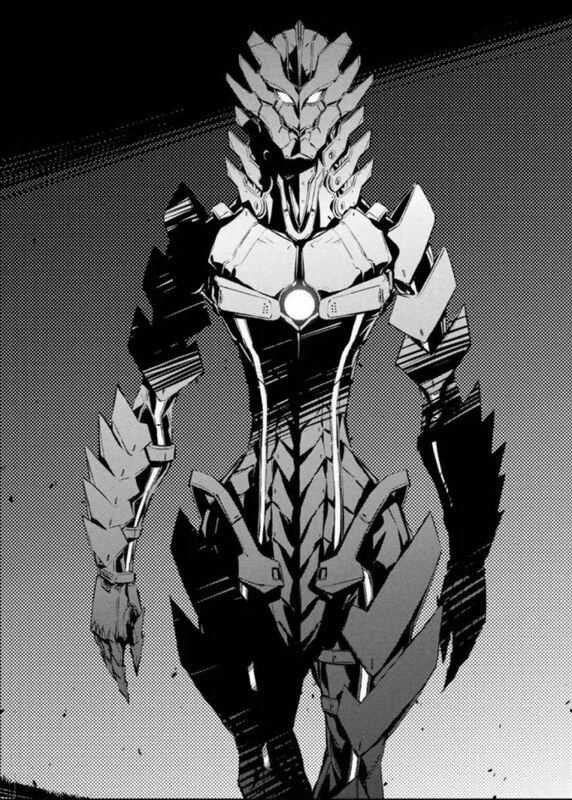 He originally had a more alien-looking elongated suit whereas in the anime Bemular’s suit stayed humanoid in shape, which made it seem odd in later episodes when anime Bemular commented that he liked his new suit. The first fight between Shinjiro and Bemular in the anime ended with the Specium Ray blowing off Bemular’s arm, but in the manga version, a good chunk of the alien’s side was destroyed. The boy is shocked because the creature beneath the armor is clearly a reptilian alien with a mouthful of fangs (which makes sense since the original live-action Bemular was a Godzilla-like lizard). The Earth-based alien city that Moroboshi takes Shinjiro to visit was also accessed via a portal at headquarters instead of being in a random back alley. What’s more, the inhabitants of this alien city were all very alien in physical appearance instead of hiding behind holograms. For some odd reason, the anime turned everyone human. Some visual changes made aliens even more alien in appearance. When Shinjiro fought a spike-shooting alien that made him hesitate it was an oddly-shaped UFO creature. In the manga, this alien had a roughly humanoid shape and even cried tears when pleading for its life. Surprisingly, while most fight scenes were greatly expanded upon, in some cases the anime’s version was less intense. When Rena’s alien stalker, the Prince of Planet Igaru, jumped on Rena’s concert stage he was tiny and weak in the anime whereas in the manga he was a giant in his true form. On the other hand, with Shinjiro’s first big fight with the human-eating Adicics alien, the dialogue was expanded and the Adicics alien didn’t have the special clone ability in the manga. When it comes to character development, the biggest change the anime made was to Jack and Red. 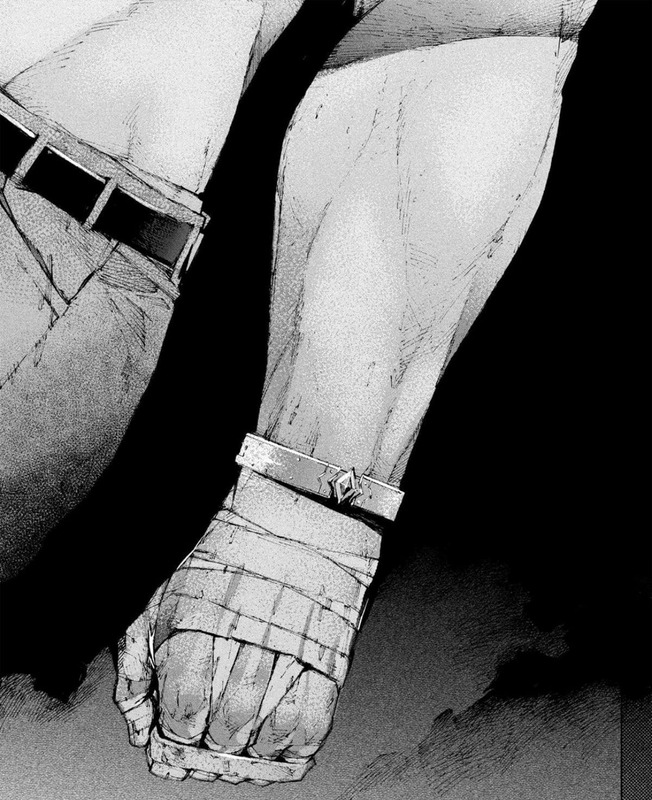 Besides pointing out the Ultraman-like bracelet, the manga noted how Jack spent time in an institution and it is likely Jack is not his real name. The anime also skipped a bunch of scenes that developed Jack further. Jack’s boxing buddy Red suffered a worse fate at the hands of the anime. You might remember Red as the alien that Jack beat at boxing when Jack was first introduced. Besides removing all of Red’s speaking lines, the anime version of Red was also treated as a disposable character to be used as a mere foil for an oddly-implemented morality lesson. But that’s not how Red was in the manga. In Chapter 22, Edo pays both Jack and Red to cause a fake fight. Jack injects Red with a serum which causes him to become gigantic and grow a tail. Edo’s goal is to force Shinjiro to grow up quickly and embrace becoming Ultraman. “If he can’t find it in himself to change after we’ve pushed him to the brink then I suppose we’ll have to give up on Ultraman,” Edo muses aloud. All Shinjiro was told is that they’re both targets for elimination and Jack outright tells Shinjiro he was paid a lot of money by an alien to kill Ultraman. But even Jack becomes concerned when Shinjiro begins losing the fight and Jack yells at Red for going too far. But Edo’s experiment works. When Shinjiro reaches within himself, he develops the latent ability to fly. Seeing this, Jack quickly stops the fight and then both Jack and Red meet up at the SSSP headquarters to discuss the murder investigation. The anime depicted these events differently in Episode 7, with Shinjiro ending up decapitating the rampaging Red. Suddenly, the whole lesson about Shinjiro finding a power to defend people and the willpower to not back out was twisted by the anime into Shinjiro finding a reason to kill. Jack and Red really got the short end of the stick. In the manga, Jack and Red came to the rescue during the battle with the assassin mercenary group the Ace Killer Squad whereas the anime neglected them entirely. In the original version of the battle, Jack actually donned heavy battle armor and wielded a large laser gun. Red transformed into his giant true form once again and went on a rampage against the mercenaries. Even old man Ultraman Shin came as backup and father and son fought together. The ending of this battle was also quite different. Seiji really did manage to kill Ace Killer with his ace up his sleeve; there was no near-miraculous resurrection just so Shinjiro could blast him to pieces. Shinjiro only had to remove his limiter in order to save Seiji’s life from a life-threatening attack by the alien mercenary with the plant tentacles. 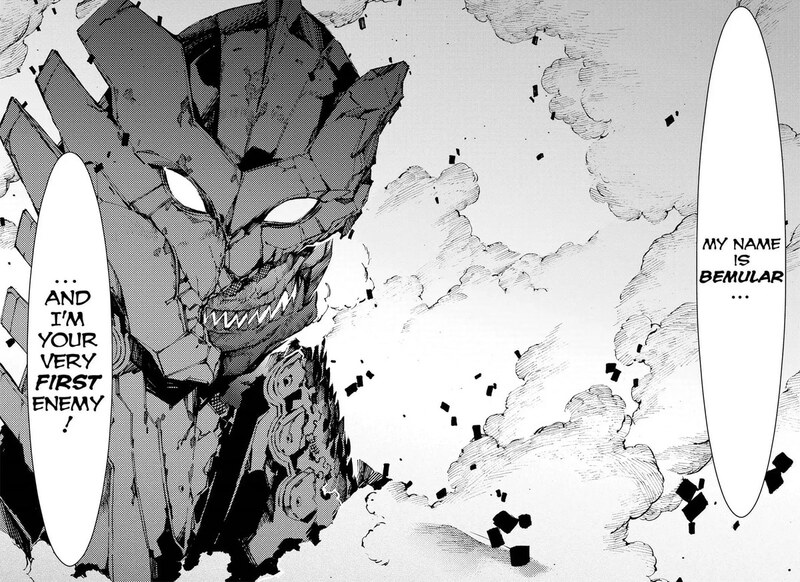 For those who want to read ahead of the anime, Ultraman Episode 13 found an ending that corresponds to manga Chapter 50, which is roughly the halfway point of Volume 8. However, it’s recommended to start reading from Chapter 15 since the anime is missing enough scattered scenes and details that are necessary to understand the next story arc (see the spoilers section below for more details). The good news is that English-only fans can jump right in and read ahead to see what will happen in Ultraman Season 2. The bad news is that the manga does not currently offer enough chapters for immediately creating a second season. 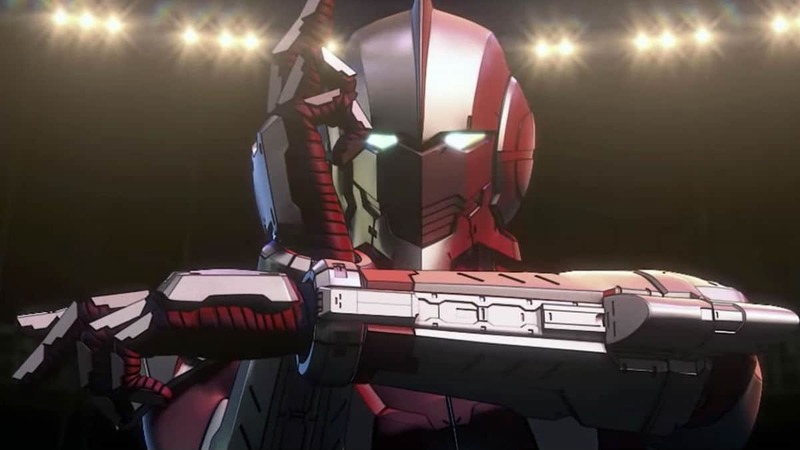 As of the last update, Production I.G., Netflix, or any company related to the production of the anime has not officially confirmed the Ultraman Season 2 release date. Nor has the production of a sequel been announced. Once the news is officially confirmed, this article will be updated with the relevant information. In the meantime, it’s possible to speculate about when, or if, the Ultraman Season 2 premiere date will occur in the future. As previously mentioned, the elephant in the room is the lack of source material. Assuming that the creator’s health does not delay the manga too much, it’s possible that enough new chapters will be created by the end of 2020. Of course, that’s also assuming the story of Chapter 100 will offer a good stopping point for the anime. 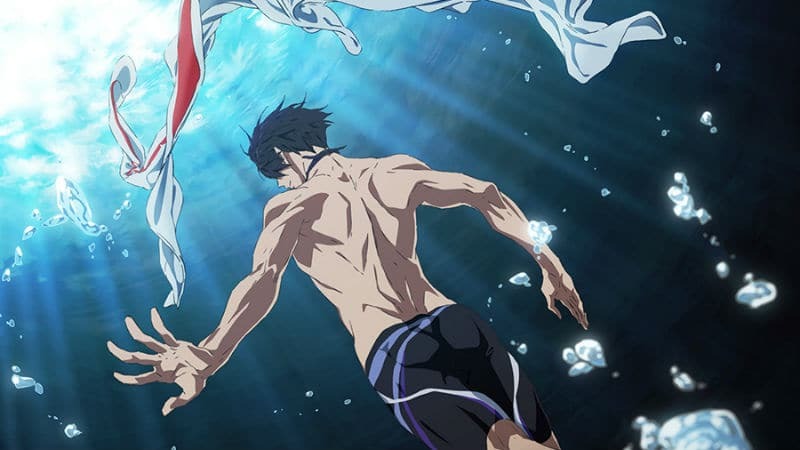 If Netflix wants a faster turnaround time, it’s possible that Ultraman Season 2 could use anime-original content to fill in the gap. After all, since the anime skipped a lot of the manga’s story concerning Jack and Red, it’d make sense to reintroduce them first before continuing the next story arc. Otherwise, it seems likely that Ultraman Season 2 probably won’t be happening until at least 2021. The next time we see Ultraman there will be conspiracies and Bemular is in the thick of it all. But in order to understand the next part of the story, it’s necessary to back up a bit and go over certain details that the anime completely skipped even though they’re relevant to the long term plot. The biggest standout change to the entire story started with the murders earlier in the anime. The murder victims all had bar codes on their necks and that part of the serial killer investigation was ignored by the anime. While that detail seems relatively minor, these missing details led to skipped scenes which are necessary for setting up the plot of Ultraman Season 2. it only became more important later once Edo confronted the Star Cluster Council and directly asked them if they recognized the bar code. Other important scenes skipped by the anime were related to Agent Adad seeking the alien engineer Yapool (who it turns out was the creator of the alien bioweapons plaguing the city). The human police detectives discover a human body parts trafficking network and Bemular makes more frequent contact with Ren’s father. When Moroboshi went to investigate Ace Killer’s house it didn’t immediately blow up like in the anime. Instead, Dan first went invisible and sneaked down into the basement where he found a large number of vacuum-sealed human bodies being stored as part of the body part trafficking network. In Chapter 44, Bemular told Rena’s father that a very clandestine war was just getting started. The mysterious lizard alien even claims that the invasion of Earth is already underway and yet humanity doesn’t even realize they’re under attack. 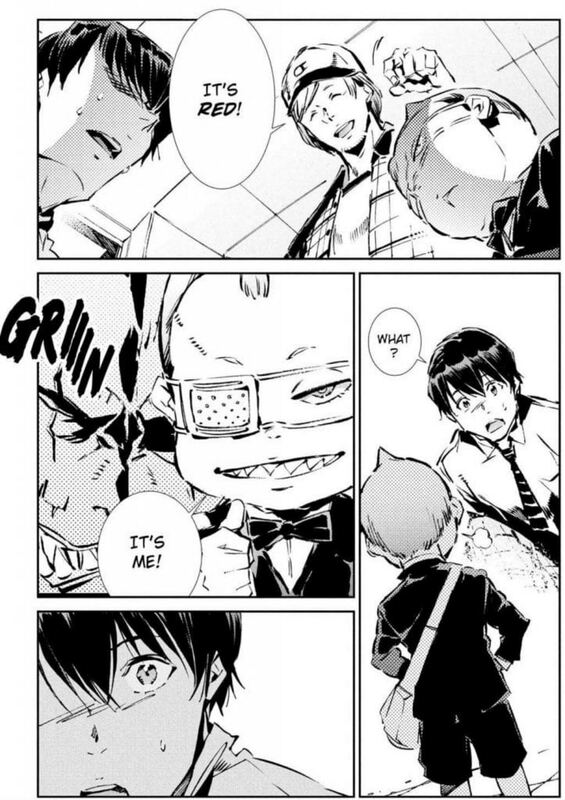 By Chapter 48, while everyone else is fighting for their lives against Ace Killer, Bemular is busy tracking down the aliens that put out the hit on Seiji. Meanwhile, Moroboshi and the other SSSP leaders have already realized that it was the Star Cluster Council itself that ordered the hit. Fortunately, the beginning of Ultraman Season 2 can simply repackage the pertinent details without causing any major plot progression problems. The first episode will probably reintroduce audiences to what Shinjiro, Dan, and Seiji are doing as Ultraman. A drunken Red can be introduced as a “new character” when agent Adad is seeking out Jack. Bringing Red back to life in this manner isn’t a problem since the anime’s mute monster looked markedly different from the manga character. Otherwise, Rena’s father can discover the human body parts trafficking operation. The SSSP can investigate the ruins of Ace Killer’s house and discover their hidden basement with the body parts. The SSSP will have a meeting discussing their suspicions concerning the Star Cluster Council. Bemular can pronounce the invasion of the Earth. With the anime caught up in this manner, the story can jump to the next part: the SSSP is alarmed when they realize that the alien engineer in their custody has gone missing. An astonished Yapool finds himself teleported to a shipping yard only to see Jack and realize that he’s in America! Edo meets with the Star Cluster Council and tells them the SSSP eliminated Ace Killer as a body parts supplier while leaving out any mention of Seiji. Moroboshi is recovering in the hospital but wants to speed up supplemental weapons preparation in reaction to the situation. Meanwhile, Shinjiro is getting lovey-dovey over Rena. The pop star invites him to her next concert and gushes over Ultraman (remember, Rena doesn’t know Shinjiro is Ultraman in the manga, nor did she ever harbor any hidden resentment as Ultraman’s biggest fan). Both are startled when Rena’s father abruptly shows up during their “date”. Shinjiro tries to pass this admission off as a joke, but it’s obvious the father isn’t buying it completely. At the same time, the detective can’t quite make himself believe that this kid is Ultraman. The action picks up quickly when there’s an explosive terrorist attack by a group called the Star of Darkness. They believe that a superior species should rule Earth. Agent Adad even admits to Red that he helped the terrorist group in order to find both Jack and Yapool. Adad may be a dog of the Star Cluster Council, but this dog will use any means necessary to sniff out the truth. Shinjiro gets the call to go into action and is tailed by Rena’s father. The cop follows the boy into an alleyway and is surprised when Shinjiro just “disappears”. The aftermath of the attack isn’t shown and there is a time skip. Three months later, Shinjiro is testing flight boosters added to his suit. They are modeled after the design used by Seiji. Meanwhile, in New York City, a Japanese photographer named Kitaro Higashi is tracking down reports of alien criminals. During a run-in with a drug-induced berserker with glowing eyes, Kitaro is stabbed multiple times. Kitaro thinks he’s about to die but his blood mingles with a mysterious fluid contained in vials dropped by the attacker. Besides being miraculously healed from his fatal wounds, Kitaro quickly realizes that he’s gained super speed and power. It’s not too long before Kitaro is buying fabric and making his very own superhero suit with the help of his American friend Dave. Red travels to the United States to track down Jack but hears word of a new Ultraman lookalike in America. As it turns out, Jack has been working with Yapool at the behest of the President of the United States to make his very own Ultraman suit! Back in Japan, Shinjiro is super-excited when Rena text messages him to say that they needed to meet up so she could tell him something important. Shinjiro’s hopes of having a pop star girlfriend are quickly deflated when all she wanted to tell him was that her next concert was canceled thanks to what Agent Adad did at her last concert. Worse, her agency suggests she travel to America and she’s leaving immediately! Kitaro’s superhero gig seems to be going well, but his actions gain the notice of the Star of Darkness because the group has been spreading the power drugs. Kitaro is overwhelmed by drug-powered humans and an alien executes Dave in cold blood. Enraged, Kitaro transforms into a flame creature and goes on a rampage. Kitaro awakens from his rampage not remembering what happened. He’s been rescued by Red and Agent Adad, who explains to him about the alien conspiracy only to ask for Kitaro’s help. An invasion on New York City is about to start in six hours and it’s going to involve drug-powered humans going berserk everywhere. This alien invasion becomes official when the Star of Darkness goes public in a video broadcast. Not only do they reveal the existence of aliens living in the alien city, but they also tell everyone that aliens are coming to Earth in greater numbers thanks to the “space contraction phenomenon”. The Star of Darkness claims that it’s not right that “superior” aliens are forced to live in a confined space while human “morons” get to rule the planet. The video announcement is also a shock to Moroboshi since he recognizes one of the figures in the background and this human-looking person closely resembles Moroboshi. For months, Moroboshi has been suffering from nightmares from his childhood where he remembers a black-haired child being carted off by an alien. Moroboshi is the son of interstellar diplomats that were killed in a terrorist attack and Dan believes this mysterious figure is his twin brother Rei. As might be guessed, the Star Cluster Council and the SSSP order Shinjiro to travel to America via instant teleportation portal to fight with the SSSP’s DARPA-based U.S. branch against the Star of Darkness terrorists. This plan gets complicated when the Star of Darkness reveals that they have already released the drug all over Manhattan island and it’s possible even Shinjiro may become infected by the alien drug’s madness. Who can stop an out-of-control Ultraman? Unfortunately, anime fans will have to wait until the Ultraman Season 2 release date to find out what happens next. Stay tuned! 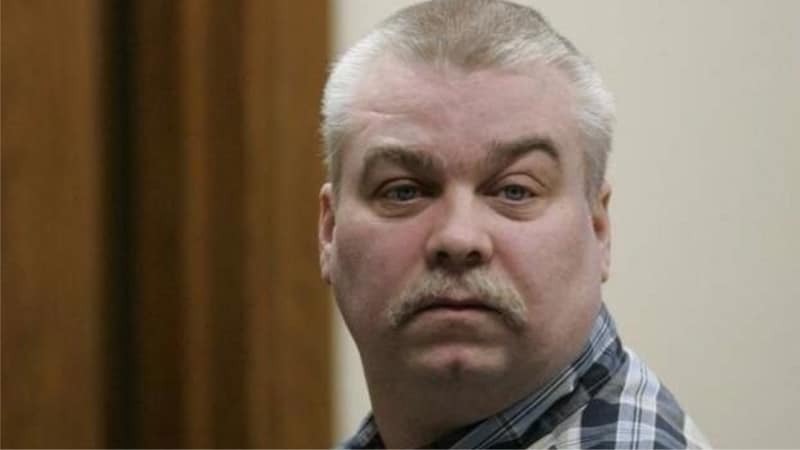 Making A Murderer Season 3: Will Steven Avery’s case continue on Netflix?